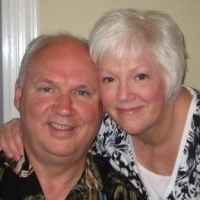 Solid Rock is so blessed to annnounce Pastors Les & Darice Welk will be joining with us on our pastoral teaching team. This wonderful couple come with a wealth of spiritual knowledge, bibical and practical wisdom and big hearts of love to share with our church family. We are so excited to see what the Lord has in store for us as they share and minister every couple months with us throughout the coming year! Welcome Pastors Les and Darice! We love you!